So these next imagines im doing preferences/imagines. So this week its gonna be About "What your kids would look like". So today is Johnson. 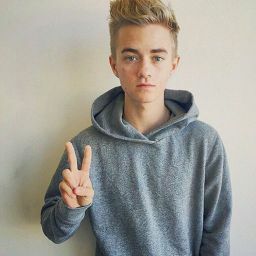 So the media above is the kids you would have with Jack Johnson. So first im gonna start off with an explanation of the kids. So btw im kaytlin and so what Em and I are gonna do is make what kids we would have with. And Em chose both of the jacks and i chose sammy and skate. So shes gonna make those for me and im gonna make these for her. So above in the media is what Em and Jacks babys/kids would look like. Then we are supposed to write an imagine with it. So here it goes. Elena: She is 8 years old and is just like her dad. She has his eyes, hair, and humor. Her hair is a little darker because her mom has dark brown hair. She is energetic and super loud (like her mom). She doesn&apos;t seem to do well in school. She hates to do work and study. The highest grade she has ever gotten is a B. She is a miny Emily when it comes to any type of sports she loves basketball, surfing, and snowboarding with mom, dad, and her siblings. But she is so sweet and kind to everyone around her. Jacline: She is turning 4 in july and is like both parents. She has her dads hair and eyes. But her moms nose and smile. 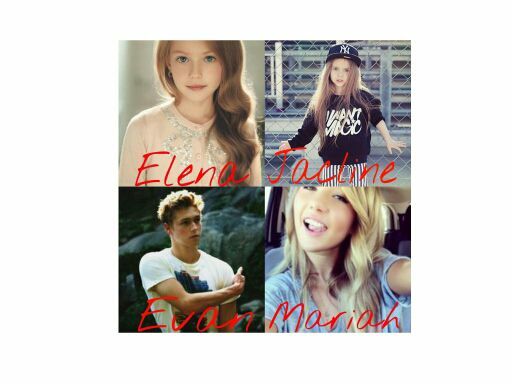 As well as Elena her hair is a little darker then her dads. She loves to dance, Jack and Em are thinking of putting her in classes. She is super calm for a 4 year old. She loves reading little comic books and loves to write. She is a daddy&apos;s girl. Whenever Emily gets home Em sees them snuggling on the couch. Mariah: Is 16 years old. She has everything exactly like her dad. Everything. But she has her mom personality. She likes to talk alot and often gets introuble for her blabber mouth. She follows after her mom and plays volleyball and softball. She hates snowboarding but loves to hit those beach waves. She is the sweetest person anyone would ever meet. She loves helping people and loves her family. Evan: Is 17. Almost exactly like his mom. His facial features and tan skin exactly match his mother. But he is a bad boy. He is always introuble and is a ladies man. Often his dad lets him go withthe flow but his mom.is strict and only wants the best for him. He loves to surf and snowboard especially with his family, just like Em and Jack.He also plays basketball following after his dad. He cares for all his sisters even if they annoy him. He is definitely momma&apos;s boy. He would take a bullet for his mom if he had to. Jack and I had the typical on and off high school relationship. We now have 4 kids. Evan is our oldest. I love him dearly but he needs to get his act together. He was just like his uncle Gilinsky. The typical bad boy. Mariah is my second oldest and she is exactly like her father. My poor little 8 year old Elena has trouble woth education its really hard for her. And my baby Jacline is not in school just yet but i need my time to have her before she grows up. I work as a lawyer and Jack still entertains, he is an actor. We are both home most of the time. Our life together is just great. We have our fights but other then thats its fine. Today we were all going surfing. My kids love it besides little Jacline because she doesn&apos;t even know how. Jack usually stays with her at shore. The older one go out with thier mom and have a good time. After a while of surfing I go and sit as I watch my kids surf. Mariah and Evan are trying to see who is better. The sight of my family makes my heart just swell up. As the sun went down and the low tides started to come in the kids splashed around. Evan was such a good brother, making sure his sister didn&apos;t get hurt. He held Jacline in his arms spinning her around and they were all screaming. The laughter of my children filled the beach. I sat next to my husband on the beach. He was also admiring our beautiful children. We layed there will the sun was setting. I was snuggled in jacks chest and he kissed the top of my head. How could I be this lucky?